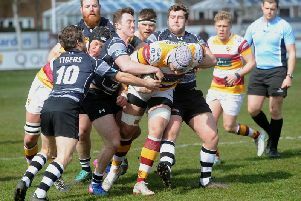 Key backs Chris Briers and James Bailey returned to Fylde action last weekend, though head coach Warren Spragg questioned whether they are yet ready to return to first-team duty in an otherwise healthy squad. Injuries and unavailability have continued to thwart Fylde’s efforts to field a full-strength side, though Spragg likes to rotate his team. He explained: “I’m trying to look after a squad of 26 or 27, and if I’m selecting the same 20 for a matchday each week, I will have six or seven unhappy players on my hands. Spragg, who will be at The Woodlands tomorrow after missing the last two matches due to his commitments with the Sale Sharks Academy, praised the work done by deputies Alex Loney and Dan Orwin in his absence. Ampthill are unbeaten in five, including two draws.